From Katie Noonan – This week’s Gallup poll has Democratic presidential candidate Barack Obama leading Republican candidate John McCain by seven percentage points, and according to the current issue of Advertising Age, an effective marketing campaign may deserve some of the credit. 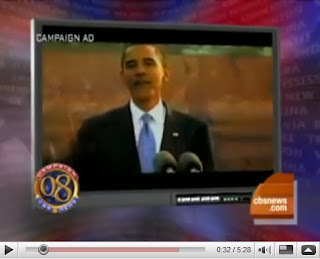 At the 2008 annual meeting of the Association of National Advertisers’, a group of marketers, agency heads and marketing service vendors, Barack Obama was named Advertising Age’s Marketer of the Year. With 36.1% of the vote, he trumped the multi-million dollar marketing campaigns of companies like Apple, Zappos, Nike and Coors. Regardless of how the election turns out, PR and marketing practitioners and businesses alike could benefit from adopting Obama’s Web 2.0 and marketing strategies. First launched by Howard Dean’s campaign in 2004, Internet-based fundraising has revolutionized fundraising in United States’ politics. Gone are the days when politicians could raise the majority of their campaign funds by making appearances at fancy dinners with party big wigs and funders. Dean and Obama’s campaigns have shown that utilizing Internet-based fundraising to cultivate and maintain a bank of small donors is now the most effective way to raise money. From a marketing standpoint, one of the most effective ways the Obama campaign has done this has been to reach out to small donors via e-mail at pivotal points in the campaign. When McCain angered Obama supporters by comparing him to Paris Hilton in a TV ad, the Obama campaign immediately sent out an e-mail asking donors to give as little as five dollars to “clean up” politics, thus capitalizing on supporters’ emotions. The Obama campaign has also appealed to donors throughout the campaign by offering free magnets and t-shirts with each donation of $25. What first struck me about Barack Obama’s Web site was it’s similarity to social networking sites like Facebook and MySpace. This wasn’t a coincidence, but rather a strategy on the campaign’s part to draw in supporters by modeling the site after those with which users would be most familiar. The campaign was able to optimize its social networking capabilities when it hired Chris Hughes, one of the founders of Facebook. As a result, the Obama campaign had an early Facebook and MySpace presence and effectively made use of Facebook and MySpace features. The Obama campaign had its own applications on both Facebook and MySpace, listed all local and national campaign events on Facebook city/regional network pages, and launched both broad and targeted side bar advertising campaigns on Facebook and banner advertisements on MySpace. The Advertising Age article highlights another crucial aspect of the Obama campaign’s marketing strategy- message consistency. “Across towns, counties, states-and with thousands of volunteers no less-across multiple media platforms, they’ve managed to drive a potent, single-minded design and messaging coherence that should shame many national brands,” Collins said. While the Obama campaign may receive some flak for the “hope” and “change” rhetoric, there is no denying that the consistency with which they have driven home those two themes has positioned Obama, whether rightly or wrongly, as the candidate who can bring change to Washington. This is a message which Gallup shows is really starting to resonate with voters.